Rated A+ Expert German and Japanese Auto Repair serving Martinez, Pleasant Hill, Concord, Walnut Creek, and the surrounding area. They're factory-trained professionals with over 55 years of combined experience, with Master- and Expert-level certifications, and they're eager to work with you to provide high quality service you can trust without the cost associated with dealerships and chains. 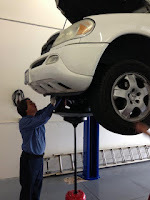 Collaco Auto Repair is based in Martinez with easy freeway access, and serves the entire area including Walnut Creek, Pleasant Hill, and Concord. 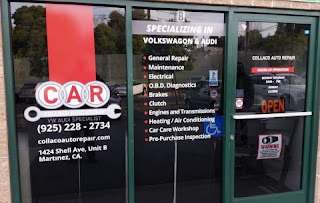 When looking for Volkswagen or Audi repair in Walnut Creek, Concord, Pleasant Hill, or Martinez, think C.A.R. — Collaco Auto Repair.